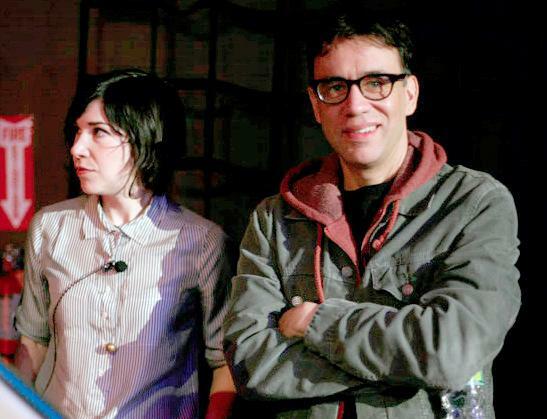 “Portlandia,” starring Carrie Brownstein and Fred Armisen, airs its third season January 2013. Welcome the new year with feminist bookstores and aggressive bicyclists. Angus T. Jones (better known as “that kid from Two and a Half Men’”) released a religious testimonial video Monday in which he slammed the show for promoting “filthy” behavior. He later apologized for the rant, but it seems his bosses on the show aren’t too happy with him for it. Instead of replacing yet another lead actor on the sitcom, let’s just cancel it altogether. At this pace, there will soon only be two and a half original cast members left. YouTube recently announced the launch of a new, flashy production studio in Los Angeles, a physical homeland for Internet-famous vloggers to heighten the quality of their art. Soon, more of your favorite distractions will seem like something straight off the big screen. Knowing how much effort went into the production, you can now feel less guilty about ignoring that problem set to watch Jenna Marbles in super HD. The IFC show “Portlandia,” a quirky comedy produced by many of the same creative minds involved in “Saturday Night Live” — complete with sketches that poke fun at the hipster culture of my hometown — will return for a third season with a magnificent cast of guest stars. The Pacific Northwest is finally being recognized for its attitude toward an idealistic time period in which unmotivated people in knit hats and oversized glasses drink coffee and advocate for the environment. Hopefully it doesn’t become too mainstream for Portlanders to handle.